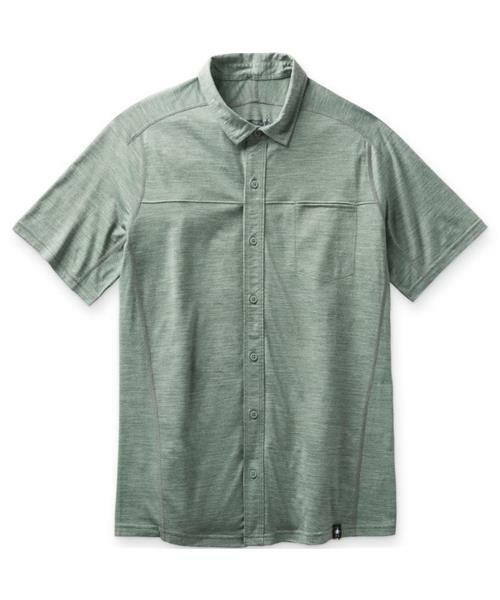 No matter if you're out hitting the links, heading out to a casual business meeting, or are meeting up with friends for lunch, the Men's Merino Sport 150 Short Sleeve Button Down combines performance, comfort, and breathability. Engineered mesh is placed in key areas to increase Merino's breathability and comfort, while a flatlock seam construction helps to eliminate chafing. With additional vents at the top of the back for breathability, Smartwool's Sport fabric combines the sweat management, temperature regulation, and odor resistance of Merino with the added durability and quick drying time of polyester.